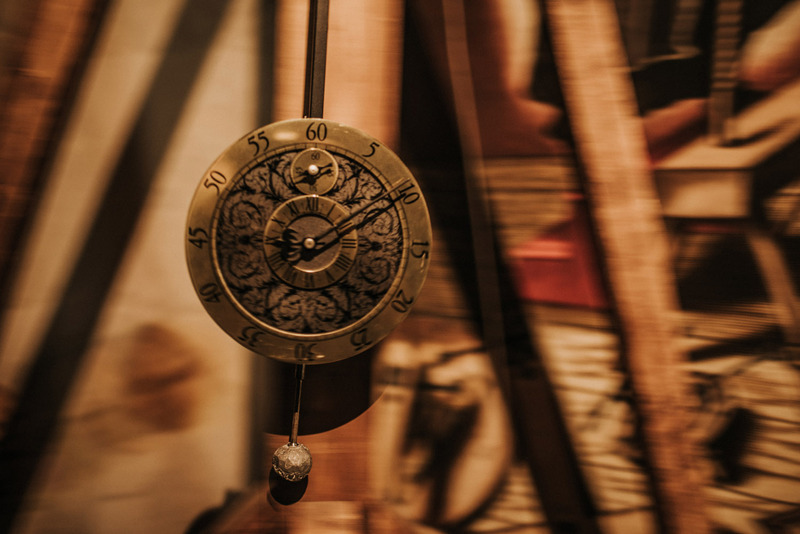 Tower Clock Museum is located in bell tower of St. Catherine Church, at 54°21’14″N 18°39’04″E. 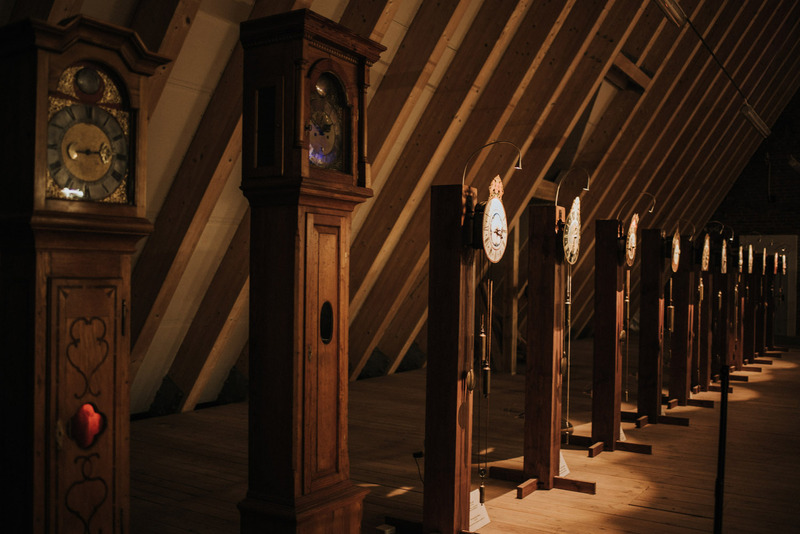 In this museum you can see many clocks and clock mechanisms installed in varius towers. 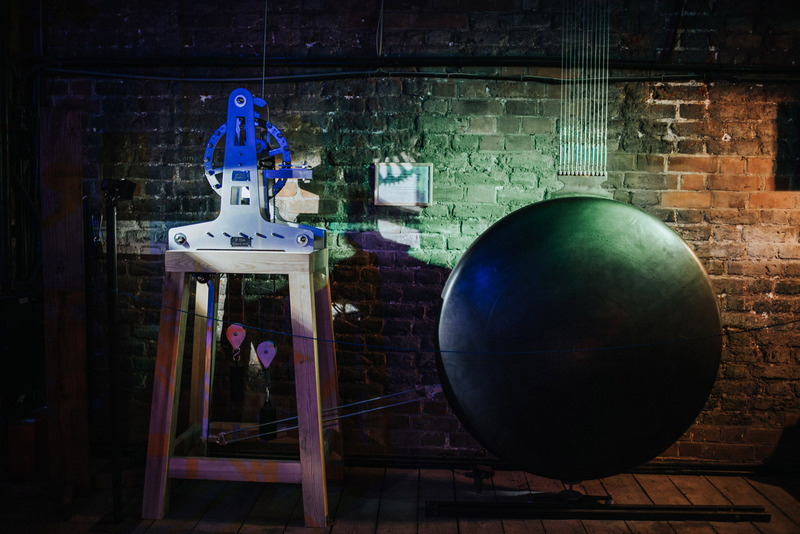 Mechanisms are shown to the public and everybody can see how they work. 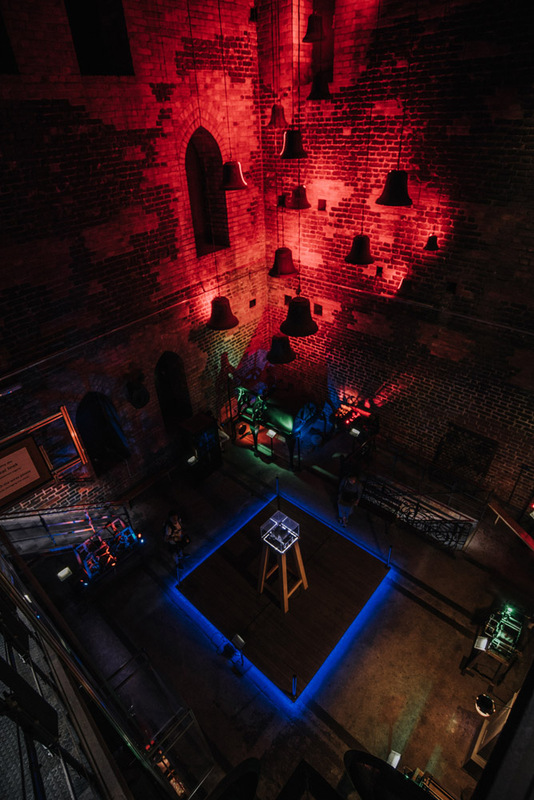 Entry ticket to the Tower Clock Museum is 10 zł. To enter the museum you need to go to a small entrance near main entrance to the church and go several dozens of small and narrow steps until you finally arrive at first floor of museum. 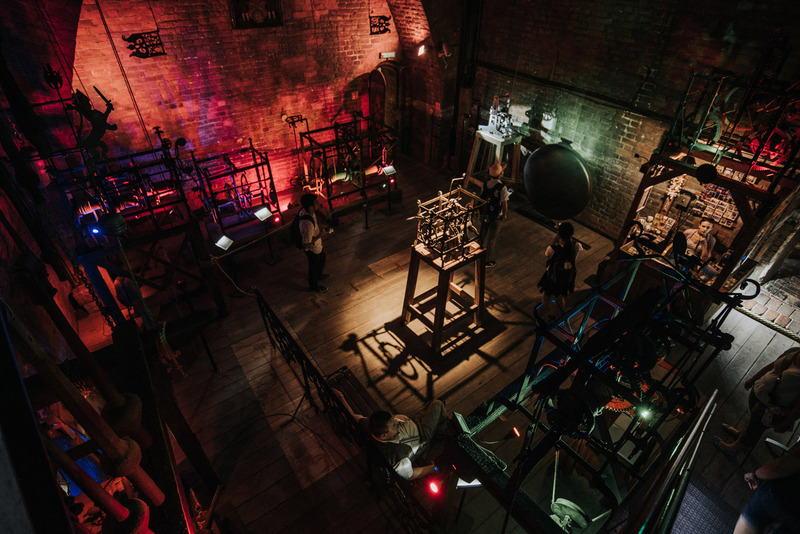 Clock with the longest pendulum in the world – 31,22 m. Of course not whole pendulum is shown, it stretches through few floors. 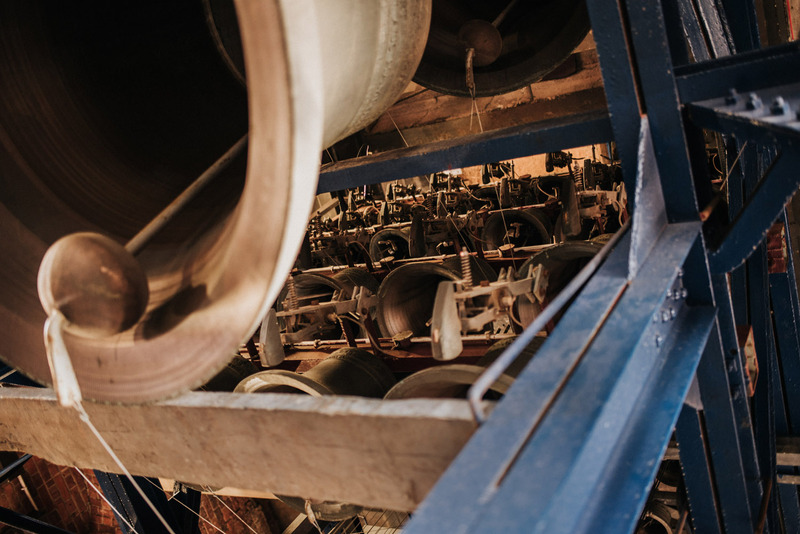 Third floor – there are no clocks in here, but on this floor is 50-bell carillon. 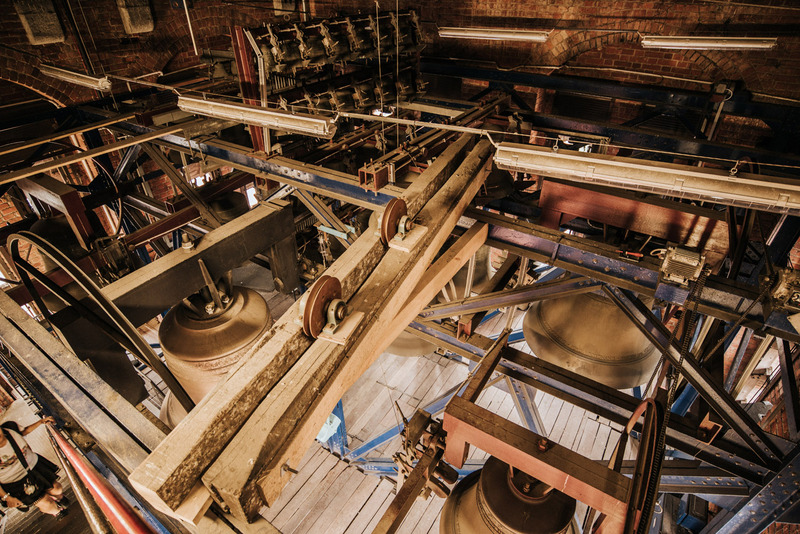 Going higher takes you to the view point atop of St. Catherine’s Church bell tower. 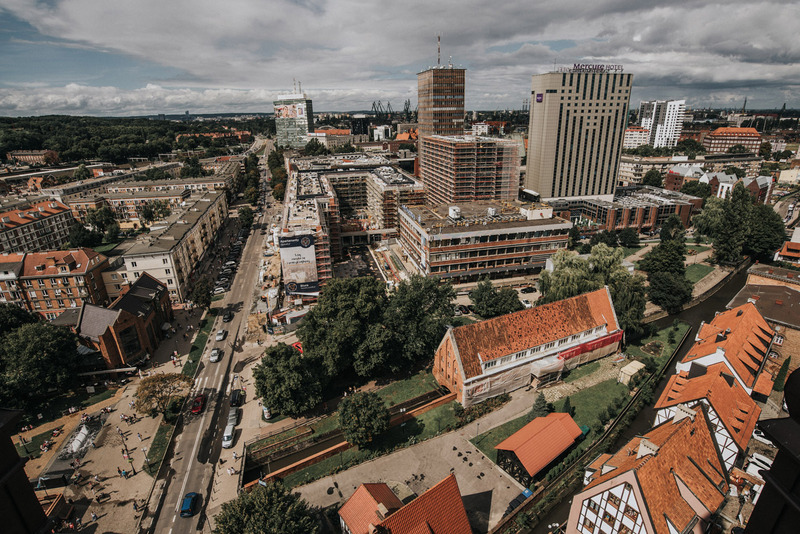 Western view: building at the bottom of the picture is Wielki Młyn (Great mill), further to the west, covered partially by trees, is Old City Town Hall and left to him and little behind is St. Joseph Church. 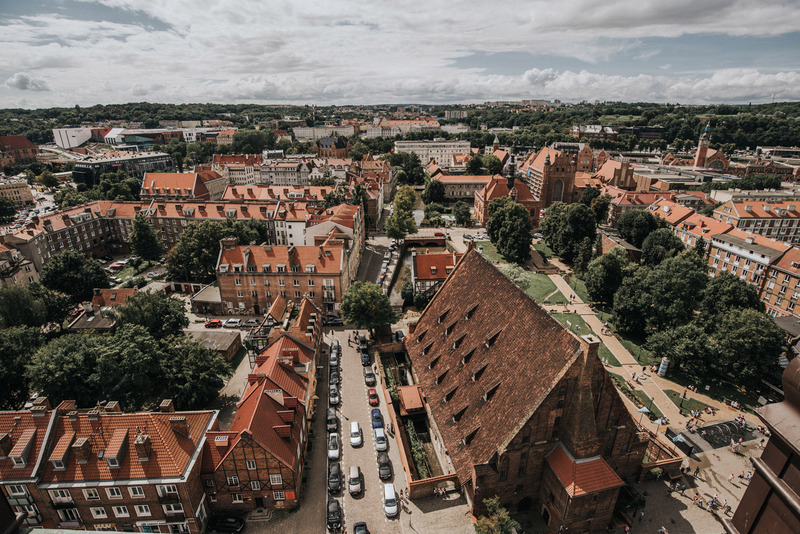 At the right side of the picture you can see Gdańsk Główny railway station. 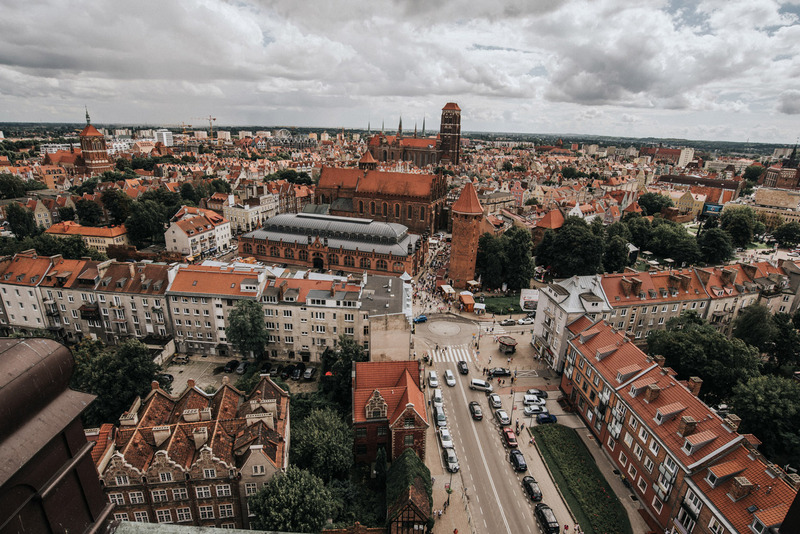 Southern view: the most noticaable buildings in the center of the picture are market hall and just behind it St. Nicolaus Basilica. The tower next to them is Baszta Jacek a part od Gdańsk’s old fortifications. Behind church you can clearly see St. Mary’s Basilica, on the left side of the picture is St. John’s Church. Eastern view: just behind the back of St. Catherine Church you can see St. Brigitte Basilica. Far left you can see cranes of the Gdańsk Shipyard. 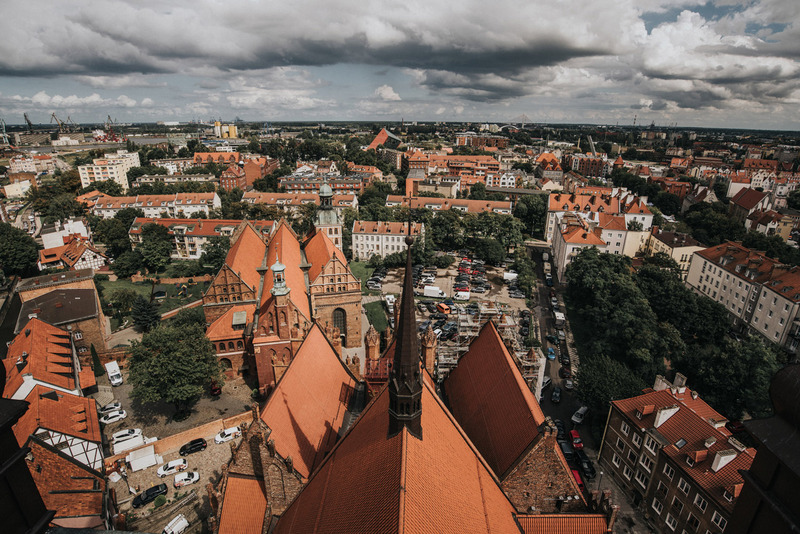 Northern view: St. Catherine Church is located at the edge of Gdańsk’s historical city center and northern view is already outside of it. Buildings visible are Mercure hotel, Organica Trade office bulding and the green one in the distant is Zieleniak.